PacMan.io is a cool .io game in which you control the iconic PacMan and can eat other smaller players. To grow, you need to eat the scattered food around the map. 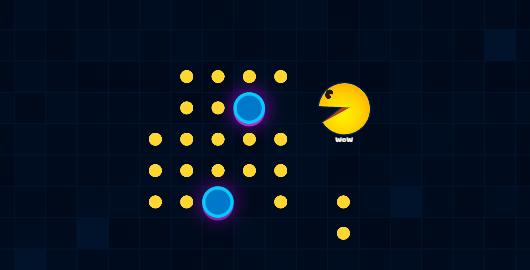 Can you become the biggest PacMan on the map? Posted on Saturday, November 17th, 2018. Follow any responses through the RSS 2.0 feed.